We bring you a short snippet of information if you are travelling to Pakistan or India this week. RPS Partnership has just returned from Islamabad and is happy to chat informally if you have any issues with travel there in the coming days. As tensions mount between Pakistan and India, travellers to the region may be affected due to the ongoing conflict between the governments, so worth checking whether your flight is ok for travel this week. 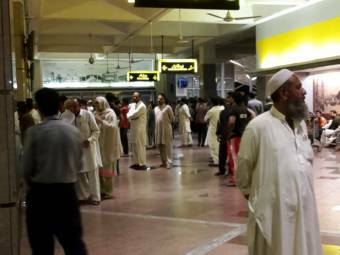 Pakistan Civil Aviation Authority (CAA) has declared an emergency across all airports following the escalating tension between India and Pakistan. Pakistan has closed its entire airspace, its civil aviation authority has said. Nine airports in northern India have been closed, reports in India said. Local and international commercial flights have been suspended across Pakistan today. Flight operations have been suspended at Lahore, Islamabad and Faisalabad airports. According to airline infomation, international flights that transit between Indian and Pakistani airspace are now also being affected. Some flights are returning to their origin, while others appear to be seeking alternate routing. If you need any assistance in planning your travel to Pakistan or India, please do get in touch with us on info@rpspartnership.com for training or travel concerns.